Maverick's back, baby. 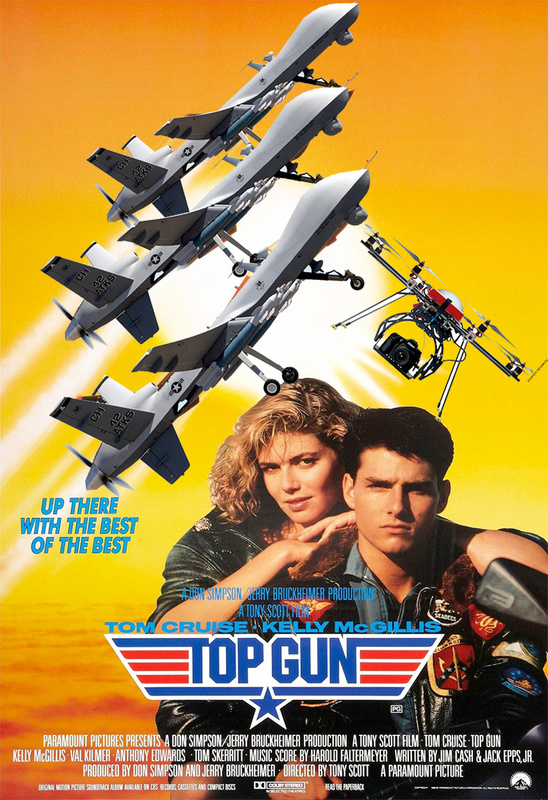 Or at least he will be — in a recent press junket, Skydance CEO David Ellison explained that a forthcoming Top Gun sequel is in the works, and will see Tom Cruise take on drones in the sky. "Justin Marks is writing the screenplay right now," Ellison told a group during a Berlin press day for Terminator Genisys. "He has a phenomenal take to really update that world for what fighter pilots in the Navy has turned into today. There is an amazing role for Maverick in the movie and there is no Top Gun without Maverick, and it is going to be Maverick playing Maverick. It is I don't think what people are going to expect, and we are very, very hopeful that we get to make the movie very soon. But like all things, it all comes down to the script, and Justin is writing as we speak." Ellison added that modern warfare tactics will be a central theme in the film. "When you look at the world of dogfighting, what's interesting about it is that it's not a world that exists to the same degree when the original movie came out," he said. "This world has not been explored. It is very much a world we live in today where it's drone technology and fifth generation fighters are really what the United States Navy is calling the last man-made fighter that we're actually going to produce so it's really exploring the end of an era of dogfighting and fighter pilots and what that culture is today are all fun things that we're gonna get to dive into in this movie." No word yet on whether or not any other original cast members will appear in the film, but we'd love to see Val Kilmer reprise his role as the Iceman. Maybe he could just be a work-from-home drone pilot now? Thanks to Collider for the tip.